The country singer and former "American Idol" winner started her collection of photos and videos highlighting the event on Instagram by lip-syncing to songs such as Tom Petty's "Free Fallin," John Denver's "Leaving on a Jet Plane," and Tim McGraw's "Live Like You Were Dying." 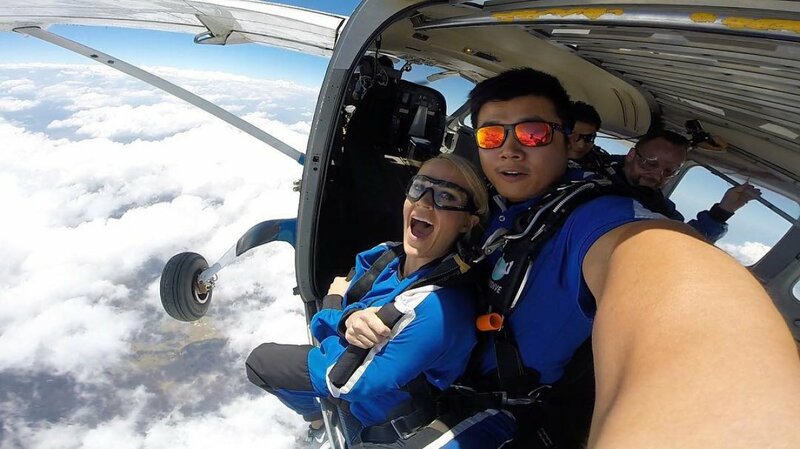 Underwood along with her crew from her ongoing concert tour, then ascended 14,000 feet in the air before jumping out a plane. The 33-year-old also filmed a video alongside her hairstylist Melissa Schleicher talking about the experience afterwards noting "I didn't cry at all," with Schleicher adding "I didn't pee my pants!" Underwood also shared impressive mid-air photos of herself smiling as she flew through the air. "Ok, one more because this filter makes us look like superheroes!" she wrote as she was seen with her arms up.